Friction… it's gravity’s most powerful accomplice! Want to apply the concepts you learn on the go? 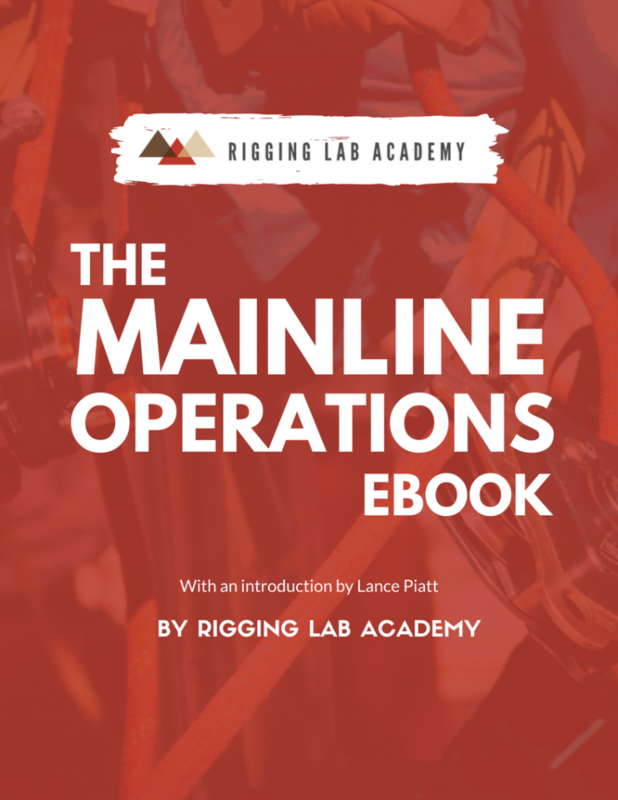 Grab your free copy of The Mainline Operations eBook now! Pat Rhodes is the founder of Rescue RIG, an organization specializing in technical rope access and rescue training. He is also an instructor at Rigging Lab Academy, the planet’s #1 digital platform for premier learning in the global rigging community, and has created some amazing courses with us. Pat accrued over 40 years of experience in the field of technical rescue including 28 years with the Phoenix Fire Department as a firefighter/rescue technician and nine years as a FEMA Rescue Specialist. As part of his responsibilities with D2000, he specializes in developing advanced curriculum focusing on all aspects of technical rope rescue. Pat is also responsible for instructor development and client relations. Pat has been instrumental in building a global brand and impacting tens of thousands of people across the planet with his humor and humble experience. What he has to say is important. Mainline systems are the workforce contingent for all rescue and rigging operations. A mainline is not always a 'simple 3:1' raise change to lower, or the other way around.... They can be a 360° option at times! With mainlines, there’s a lot going on and much to keep track off. It’s vital that you know how to construct a Mainline system that can easily and safely convert from a lowering to a raising system. Are you prepared? YES! Please Send Me A FREE Copy Of The 'Mainline Operations' eBook!